As part of an experimental project, we combined 3D CAD System files of Pro/Engineer with SolidWorks. The physical project is an experiment with concept applications in trailer design, and since it is an internal project, it gave the chance to experiment with interactions using the two 3D CAD Systems. Of course, these two systems are big time competitors, and each wants to better the other. PTC’s focus was (at one point) the high-end market. SolidWorks then came along at a “feed the masses” level and started to erode the Pro/Engineer base. Over many years the two have played catch-up with each other in various ways. Unfortunately, in a continual rush to market, neither has figured out how to produce a “solid”, bug reduced version (but that’s another story). At Synthesis we rely on 3D CAD system for design. These two systems are both excellent tools for building models and fleshing out new products in development. Both systems are great in their own right, and though they both claim to do it all (sic), they each do some things better, and they both have struggles. Question: Can We Create A Process To Combine Capabilities For What Each 3D CAD System Does Well? Trailer design has been one of our dabblings for a very long time. Synthesis has done dozens of trailers over the years. Some designs are DIY plans we sell through MechanicalElements.com, and some are custom projects for specific customers. 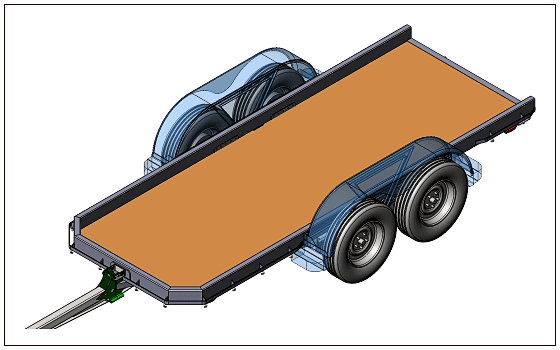 All our trailers are designed in full 3D CAD — mostly with Pro/Engineer. However, we have some newer concepts and some variations on previous concepts we want to try. Call it curiosity, or internal Product Development. So, for the sake of learning, we are expanding the trailer project to include and experiment with combining Pro/E with SolidWorks. The new trailer design is a mix of both Pro/E and SolidWorks. It’s an experiment with interpretability working with the two together. The new suspension concepts are from Pro/Engineer and the frame weldments are from SolidWorks. The final assembly is in SW.
SolidWorks does very well with simple things like weld structures, squares, rounds and the like, even if it struggles with re-manipulating and complex geometry. Pro/Engineer, on the other hand is much better in complex geometry and for experimental work. Because of these strengths (and local drivers) we chose to separate the experimental portions of the trailer project from the structural portions. The other drivers are local to our shop. First, we have a much larger Db of trailer items in Pro/Engineer, including early versions of the experimental suspension. 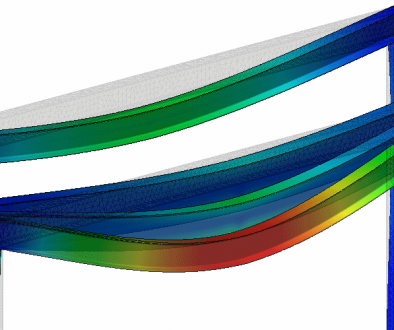 Then, honestly, because of costs involved, we have Simulation (FEA) through SolidWorks, but not in Pro/E. SolidWorks Simulation does not care if the models are native SW or Pro/E, so we use it across boundaries. However, with this experiment we also chose to combine the engineering models for development as well. 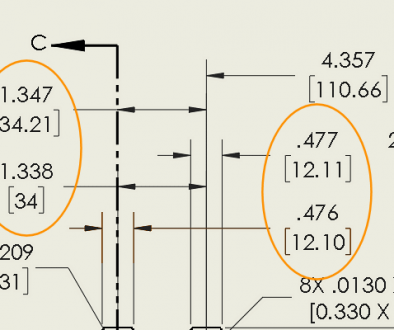 Read more about strengths in our comparison of Creo vs SolidWorks article, and another reason to Love or Hate whichever system you love or hate. We made it work. SolidWorks did fine with it’s models, however, when the SW parts related directly to Pro/E parts, that’s where trouble started. Our process brought Pro/E files into SW, and the SolidWorks weakness in manipulating references turned out as the biggest issue. We expected to revisit relationships, but the extent and obnoxiousness was much more than anticipated. Side Note. It blows my mind that you often have to edit a SolidWorks feature, then just close it again (without changing anything) so it will recognize that it already has everything it needs. We’ve mentioned this before. Oh, and sometimes you have to do it down every related feature in the tree one after another like a manual regeneration. 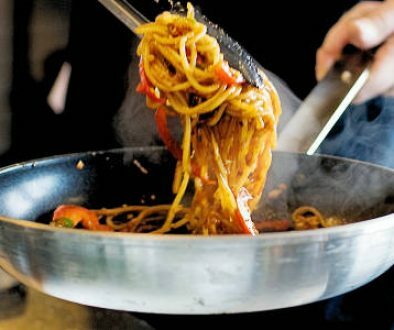 This is not just with imported stuff like this experiment. So stupid. Again, we expected some revisiting in SW as Pro/E parts and features change, but this is truly obnoxious. Maybe next time we’ll pull SW into Pro/E and see how that goes. At least Pro/E has tools to change references without completely rebuilding models. The CAD System experiment taught us some interesting things. Here are a few. Simple geometry usually reads fine. Complex geometry is a mixed bag, so prepare to fiddle with it more. Feature recognition functions of SolidWorks can be moderately useful with simple shapes, but fail with even moderately complex geometry. We found that skipping feature recognition (use “Body”) made models easier to work with. 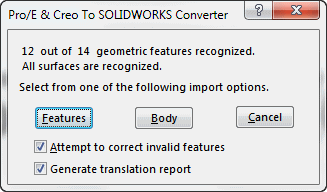 Don’t do double translation — like from 3D CAD System to STEP to Import to STEP again. If you can, pick one CAD system for the project. Even though it’s nice to use (in this case) Pro/E for complex stuff and SW for easy stuff, the added fiddle time is not worth the headache. Combining 3D CAD System models was, in the end, a success from the standpoint that we accomplished the project. However, after doing it, I don’t recommend the mix and match. It was fun to try, but these two 3D CAD systems still don’t play well with each other. No real surprise.